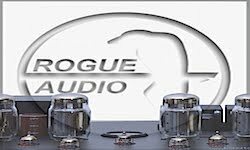 Everything Audio Network: Recording Review!Mojave Audio MA-100 Small Diaphragm Omni/Cardioid Vacuum Tube Microphone"A New Look at Royer's First Tube Mic"
"A New Look at Royer's First Tube Mic"
Dislikes: why did I not try this mic years ago? My previous experience with David Royer’s Mojave Audio microphone line has been with his solid-state models, the MA-301fet and the MA-101fet. — both reviewed on EAN. But before Mojave released those solid-state FET models, the company first produced his vacuum tube originals—the large-diaphragm MA-300 (and MA-200) and the medium-diaphragm MA-100 reviewed in this article. In fact, according to David Royer, the miniature JAN 5840 tube-based MA-100 is his oldest microphone design, dating back to the mid 1980s. So let’s answer that question first. Just as vintage Neumann KM 53/54s, AKG C60s, and Schoeps M-221Bs sound nothing like each other—to engineers familiar with all of them—the Mojave MA-100 sounds similarly dissimilar to the AKG and Schoeps models. However, I was pleasantly surprised that my pair of MA-100s did sound “in the same family” as my prized pair of (1-micron. Stephen Paul-modified) Neumann KM-54s and original nickel diaphragm KM-253s. I say “surprised” because, first, all the vintage “pencil-type” mics have approximately the same size diaphragms—around ½-inch, while the MA-100s have larger ¾-inch diaphragms. With the MA-100, Dave Royer designed the quintessential, modern, pencil-type, vacuum tube microphone for instrument recording. I only regret that I waited so long to try it! As I wrote in my earlier article—concerning the Mojave MA-101fets, which share the same capsule with the MA-100s—there are several ¾”-diaphragm mics available today, but “back in the day,” there were only the Sony models (C-37, C-500, etc. ), and they were thought of as (or, at least, looked like) the large diaphragm models. Today, such mics are regarded as “in-between” small and large diaphragms—which makes perfect sense—but in the case of the MA-100/101fet’s capsules, they’re set up to act like smaller diaphragm mics, as will soon be explained. Spec-wise the Mojave contains a .8-inch wide, 3-micron thick diaphragm. The mic comes with cardioid or omnidirectional capsules. 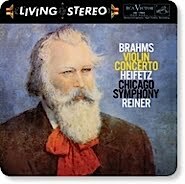 The frequency response is 20 Hz - 20 kHz, +/-3dB. Sensitivity is listed at -37 dB, re 1V/pa. 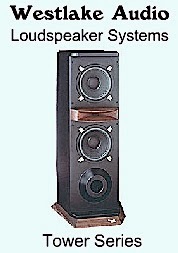 Maximum SPL is 130 dB. The self noise is 16 dB. Impedance is 450 ohms. As mentioned, the MA100 is a bit longer than typical, small diaphragm “pencil” mics, 5.5-inches long. Each MA100 comes in its own carrying case with the power supply, shock mount and the connecting cables. Retail price is $795. You can also buy the mics in a $1,500 “stereo kit” — the MA100SP — with both microphones, a single power supply, the two mounts and a stereo bar, with all the hardware placed in a single case. 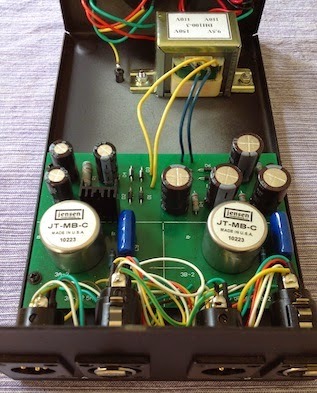 Physically, the size of the parts used in the MA-100 preamp section produced a cylindrical tubular enclosure with the same diameter as the capsule, whereas the large transformer used in the MA-101fet necessitated a larger diameter for the preamp’s enclosure than the capsule’s diameter—almost a seeming contradiction for a solid-state mic. Nonetheless, the vacuum tube MA-100 (containing the same miniature JAN 5840 vacuum tube Royer uses in all his mics) “looks like” a standard small diaphragm mic, only a tiny bit thicker. But appearances can be deceiving, for the MA-100 makes use of an output transformer which might even be larger than the one which forced Mojave to increase the diameter of the MA-101fet’s cylindrical metal enclosure beyond what is usually considered “normal” for a pencil-type microphone. “But where is the MA-100‘s transformer?,” you ask?" When I reviewed Mojave’s large diaphragm MA-301fet, I wrote from the point of view that, if I were to build a high-end solid-state microphone (in my head) from scratch, I might end up with one very similar to the MA-301fet. I made that rather strong statement based on my personal experience, over many years, with myriad microphones, and my long relationships with the best of today’s artisan microphone designers, especially the late Stephen Paul. Well, I’m about to go out on a similar limb and support a view, in the present article, that Dave Royer — the guiding force behind both Royer Laboratories and Mojave Audio — has combined the best of vintage and modern microphone design philosophies. 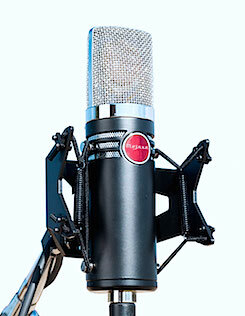 With the MA-100, Mojave has produced the quintessential modern, pencil-type vacuum tube microphone. I only regret that I waited so long to try it! Just as in that previous article, a little bit of history is also in order here. Only this time — thanks to my trusty iPhone — I have a few supplementary photos as illustrations. First, let’s return to the question of that elusive output transformer. From the 1970s onward, engineers who thought “small diaphragm microphone” would suggest the AKG C-451 or the Neumann KM 84. Although they sounded quite different from each other, one thing they had in common was the presence of a little “peanut” output transformer, right behind the XLR connection, opposite the end with the capsule. However, to the previous generation of engineers, working in the late Fifties and throughout the Sixties (before the days of the 451) AKG sold a markedly smaller small-diaphragm microphone, the C 60 — and that mic even had a vacuum tube in it! In fact, I own six of them; there are several angles of one of mine visible in the pictures below. If you examine my photo carefully, you’ll notice the tiny AC701k vacuum tube, a few passive parts, but not much else. No transformer! Now, please examine the Mojave MA-100. 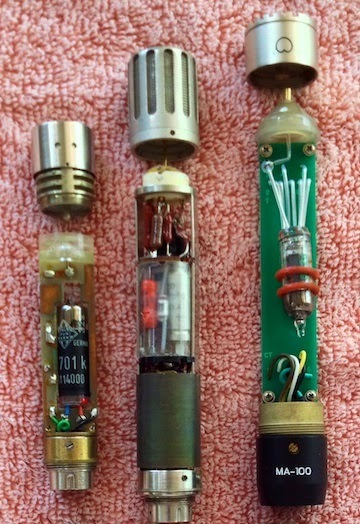 Its innards are even more spartan than my C 60’s; all one can see is the 5840 tube—no resistors, nada, that’s it; just the miniature tube! I did not photograph one of my C 60 power supplies, but please take a look at the Mojave power supply, with its cover conveniently removed. 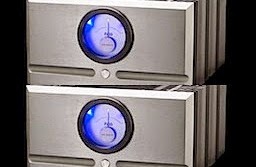 The two large cylindrical Jensen JT-MB-C mic output transformers sort of jump out at you, don’t they? Besides the multi-voltage AC transformer, they are the largest parts in the box! 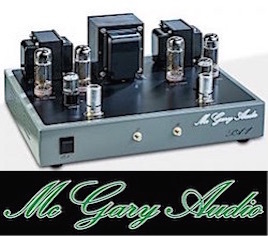 Thus, the answer to the question is: just as AKG did with its C 60 mic (from the 1960s), Mojave also “separated” the connection between the output from the vacuum tube and the mic’s output transformer by the microphone cable! Yes, there are vacuum tube circuits that can easily drive a 10-meter microphone cable without noticeable degradation, and the various flavors of the cathode-follower circuit are some of them. You can also buy the mics in a $1,500 “stereo kit” — the MA100SP — with both microphones, a single power supply, the two mounts and a stereo bar, with all the hardware placed in a single case. One also shouldn’t forget that Mojave supplies two capsules per mic—cardioid and omnidirectional. And, yes, one can swap capsules between the MA-100 and MA-101fet! The colors don’t match on a normal MA-100, but it’s a cool look, reminiscent of a vintage AKG C 60, with its shiny capsule and matte body! (See photo.) Swapping the MA-100’s capsules with the MA-101’s gives you a completely black mic, if you ever need that on stage. I noticed no obvious difference (besides the color) between the MA-100’s silvery capsules, and the black ones that came with my MA-101fets. So now, let’s talk about the sound of the Mojave MA-100, and the reason why it didn’t stay long in the closet with my vintage mics; these modern small condensers spent most of their time on a pair of mic stands, out in the large room at Studio Dufay — ready for numerous recording projects that might come along. One “advantage” of modern digital recording practice is that—with today’s interfaces and DAWs—it’s really easy to add extra recording channels/tracks. Accordingly, many classical music engineers, yours truly included, often record extra mics (or mic pairs), “just in case — tracks which usually don’t end up in the final mix or, if they do, are sometimes mixed so far down that they just add a little “atmosphere” to the mix. And if that engineer happens to be auditioning new microphones, such a scenario is perfectly conducive to extended listening — simply put up the new mics, bus to a pair of extra tracks, and record the session normally. Later on, when everyone has left, the engineer now has an entire session’s worth of “examples” of how the new mics sound, recorded in sync with all the “normal” mics. Even better in my own case — recording classical music for CD release — all the tracks stay together during the editing process (using the Pyramix DAW), right up to the absolute final mixdown. So, at any time, it would be possible to put together a “finished edit” using only the mics I just happened to be auditioning while I was originally recording the session(s). 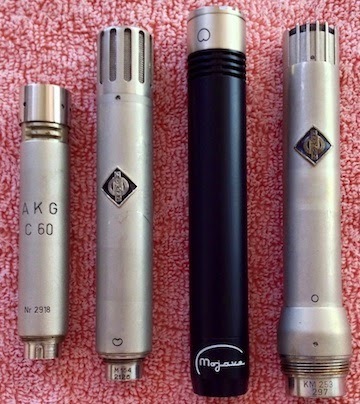 As I mentioned, I’ve concluded that the Mojave MA-100s sound “in the same family” as my vintage Neumann KM 54s. By that, I mean, first, that they sound much closer to my KM 54s than they do to any of my comparable Schoeps, or to any of my comparable AKG pencil mics. Second, compared to other members of the Neumann KM 53/54 family (I own multiple examples of each) here at the studio, it sounds close enough to them (capsule for capsule, etc.) to actually be considered sounding more like one of those actual vintage German mics, than any other model of mic I’ve heard. I’m not theorizing about how Dave Royer accomplished this sound quality with a ¾-inch capsule design; I’m just guessing that it’s a whole combination of factors; the sum total has contributed to this happy serendipity. Or maybe, we should just call it good engineering! Certainly, remoting a high-quality, large mic output transformer to the power supply was a smart move. The capsule, itself, sounds wonderful to my ears, with good off-axis sound pickup — maybe 80% as smooth as that of a true ½-inch diaphragm. And by choosing to use 3-micron Mylar film, as in the MA-101fet and MA-301fet models I previously reviewed, Dave Royer has, again, made a sensible compromise between “peakiness/smoothness” and diaphragm stability and longevity. 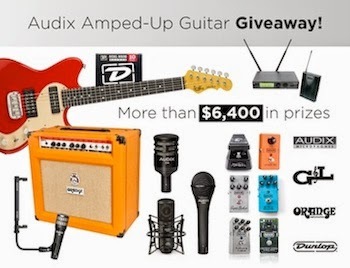 Click here to enter Giveaway! My own 1-micron pair of KM 54s, which I’ve owned for about twenty years, are still OK, but I treat them with kid gloves. However, their upper midrange peak is a bit lower in amplitude, and farther up the frequency spectrum, with the end result that they have a bit less of the typical Neumann “brash” sound quality than do the Mojaves. But we’re talking very subtle here — the difference in sound between 3-micron and 1-micron diaphragms! When I compared the Mojave MA-100 with its omnidirectional capsules to a matched pair of my Neumann KM 53s, the difference went in the opposite direction. That is to say that, since my vintage Neumanns still have the original nickel diaphragms, they sounded a little more aggressive, a little more “Neumann-like,” than did the 3-micron Mylar diaphragms of the Mojaves. And this is a good thing, for I feel that the omni diaphragms are the unsung heroes of this mic. In a good room, used close-up, or even medium-distance from just about any acoustic source, it doesn’t get any better, any more faithful to the original sound, than a small diaphragm omni. In a good room, used close-up, or even medium-distance from just about any acoustic source, it doesn’t get any better, any more faithful to the original sound, than a small diaphragm omni. And with the Mojave MA-100’s extremely wide frequency response — coupled to the outside world by that awesome large Jensen transformer and elegantly simple cathode-follower circuit featuring the tiny 5840 tube, a few premium passive parts, and not much else — it can reproduce any source’s low end with just the right weight and authority. And either of the cardioids or the omnidirectional capsules work beautifully, in pairs, on acoustic guitar. I know that sometimes I’ll use two large diaphragm mics on acoustic, but for those situations where that approach simply produces too “large” a sound, switching down to omni MA-100s first, and then down to the cardioids, if necessary, will reduce the “size” of the sound without ever making any of the “sizes” sound thin or gutless. I wish I could illustrate this article with some of those tracks I’ve recorded over the past year or so with the MA-100, but copyright restrictions (both in the pop and the classical repertoire it was used on) preclude my doing so. 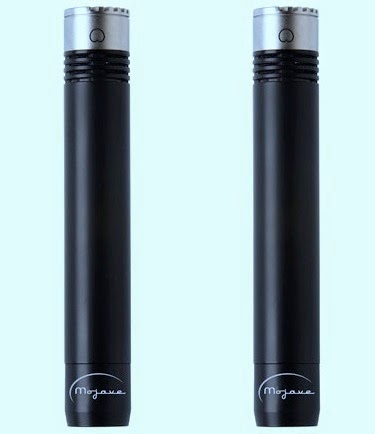 All I know is that, having this pair of Mojave MA-100 mics at Studio Dufay for the past year has brought smiles to the faces of just about everyone I’ve tracked and, as a new addition to the “small diaphragm tube Neumann” category in my mic locker, it has made my life a whole lot easier. Articles on this site are the copyright of the ©Everything Audio Network. Any unauthorized use, via print or Internet, without written permission is prohibited.